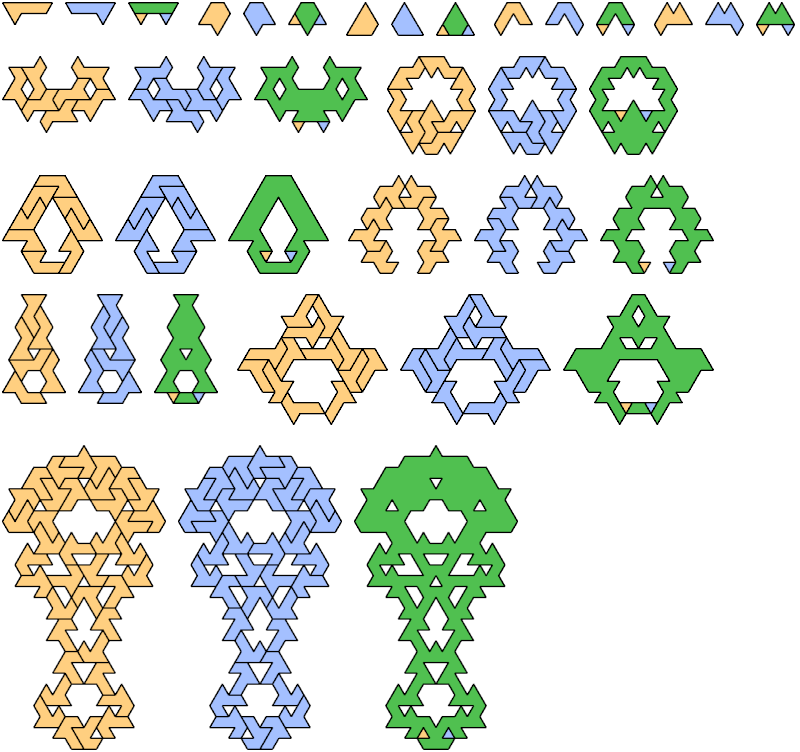 Two polyiamonds can be tiled with copies of the same octiamond. The polyiamonds differ in only one cell. How near can the unmatched cells lie? If you can find a shorter shift than is shown here, or an equal shift with fewer tiles, please let me know. For smaller polyiamonds, see Cell Shifts for Polyiamonds.